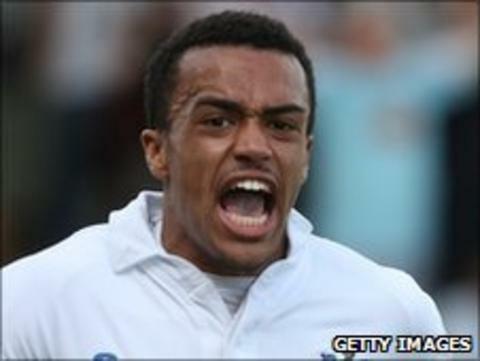 Peterborough have signed Manchester United striker Nicky Ajose on a four-year deal for an undisclosed fee. The 19-year-old scored 13 goals in 32 games during a loan spell with League Two runners-up Bury last season. Posh chairman Darragh MacAnthony said via social networking site Twitter: "Welcome on board Nicky Ajose. Excellent addition to squad out here." Ajose, who joins up with the Posh squad at their Portugal training camp, failed to make the first-team at Old Trafford. Bury boss Richie Barker had been keen on bringing Ajose back to Gigg Lane, but said last week that the former England Under-17 forward was likely to go elsewhere. "He's going to be hot property, with the basis that he comes from Manchester United," he told BBC Radio Manchester. "We're a victim of his own success but what I've tried to get over to other clubs now is, 'give us your younger players and you'll get them back and they'll be worth money'. "People are going to have to accept we're going to lose more players than we're going to gain because that is, financially, the way it goes."